Bold, moving, entertaining and controversial, this is the great novel of 1960s Lagos life - with one of the most unforgettable heroines in literature. Jagua Nana, no longer young but still irresistible, lives a life of hedonism in Lagos: men, parties, fights, wild nights in the Tropicana with her handsome young boyfriend Freddie. Rushing from one experience to the next in search of something she can't quite grasp, Jagua finds herself embroiled in shady politics, caught up in village feuds and a source of drama wherever she goes. 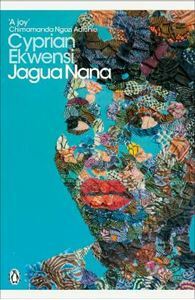 In this vivid depiction of 1960s Nigeria, everyone is hustling and everyone is on the make - and a woman like Jagua must find her own unconventional path to fulfilment.